All around the world, media outlets are learning that some funders are uncomfortable with supporting journalism merely as a “public good.” They want to see proof of impact. 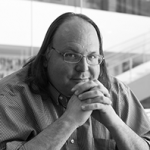 In this article, D&S advisor Ethan Zuckerman and Anya Schiffrin address emerging metrics used by media outlets to assess the impact that these news organizations have on the world. Traditional metrics used by media companies are insufficient for media companies who are supported by philanthropic organizations rather than those supported solely by advertising revenue- yet the alternative metrics are still being tested. Zuckerman and Schiffrin analyze an assortment of these approaches revealing the difficulty in measuring media impact.